Huawei launched all new smartphone Honor 6X. It is another phablet in Honor 6 series. Check out its specifications, price, features, and release date below. The two versions of the phablet, one for the China Unicom and other for China Mobile got the TENNA certification. It is said to be the first dual camera smartphone of the company. It is the first time when the company has launched its smartphone with such camera on the back in the market. 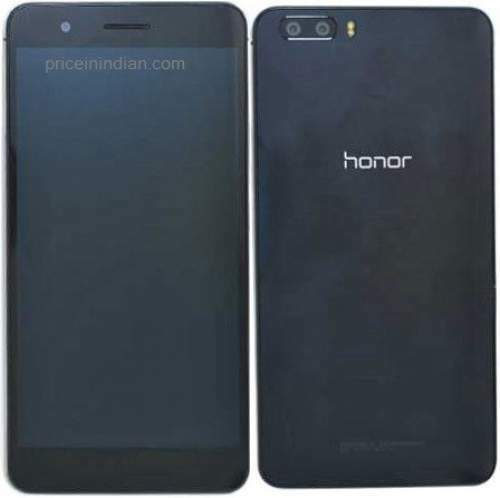 Also, the another product which might get the attention of the public is Huawei Honor 4X. 4X is also said to be a phablet with the dual camera on its back. The company has already launched its Huawei P9 and Huawei P9 Plus this year. There is a dual camera each of 13 MP on the back of the device with an aperture of f/2.0 and LED flash. It is a dual shooter for capturing your beautiful moments. On the front side, there is a 5 MP shooter with an aperture of f/2.4 and wide angle lens. Three of the camera supports video recording at 1080p. The device comes with a battery backup of 3,000 mAh battery. The battery has Quick Charge 3.0 feature. There is an IR blaster in the smartphone. It also supports 2G, 3G and 4G network technologies. Other connectivity options like Bluetooth, Wi-Fi, GPS and NFC is also available on this device. It is Dual Sim device which runs on Android OS Marshmallow v6.0 with EMUI laid on its top. This device comes with a fingerprint sensor on its back and the metal body. This device is currently launched for the Chinese market. The model number of the device is BLN-AL10. The company is marketing the device by the name Honor6X. The Honor 5X was priced at Rs. 12,499 and 6X is expected to be priced at this range with a variation of Rs 2,000.